There is a well-known line in the Chronicles of Narnia where Aslan responds to Lucy after she gets into a “what if” mood. I’m sure we can all relate. “What if this had happened, or that had not happened, how would the situation be changed.” Aslan wisely responds by saying, “Aslan does not tell what would have happened.” The point is this, we must focus on what is, not what we wished would be. I sometimes fall into a series of “what ifs.” Lord, what if the 7th century Christians had translated the Bible into Arabic, rather than dismiss Arabia as a worthless desert, would Islam have still arisen? What if the pope had not excommunicated the eastern Patriarchs in 1054, would the East and the West be united today? Lord, what if Leo X had taken Martin Luther’s protests to heart rather than dismiss Luther as a “drunken monk who when sober will change his mind”? Lord, what if the mainline seminaries in the United States had remained faithful to historic orthodoxy, what would the United Methodist church look like today? My “what if” list is quite long, how about yours? Sometimes my “what ifs” are not so grandiose as wondering about great junctures in the history of the church. Sometimes, they can get very personal. What if I had prayed more about this or that situation? What if I had been a better father? What if I had taken more time to listen in this or that situation rather than jumping to conclusions or running my mouth? My personal “what if” list is quite long, too. Turning the clock back is not just an annual ritual at daylight savings time, but is something I rehearse in my mind when I get in a “what if” mood. What if I could turn the clock back and re-live that situation. The good news is that God does not want us to spend time weighing out all these possible contingencies, with the resulting guilt, or self-righteousness, or pity-parties, etc. that arise. The key is to not focus on human actions or inaction, but on God’s action. The gospel always trumps both our action and our inaction, even though the gospel will not unfold apart from us. The amazing truth is that despite human failings, sins and rebellion, whether it be at great junctures in church history, or last night when a conversation with your wife or children when awry, God is on the move. God can turn every possible scenario, even death on a cross, into an avenue of redemption and hope. We must trust that God is at work in human history and in our lives. This is, at root, what it means to be an “eschatological people.” This means that we are a people living in the present, but with an eye towards the future and the final consummation of the ages. 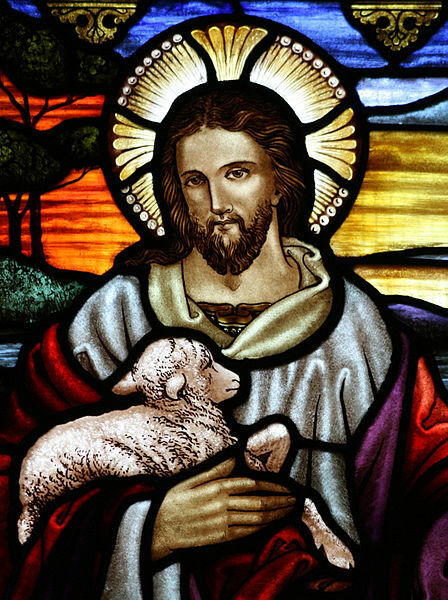 We know that all things will end with the vindication of God’s true church and the bending of every knee and the confessing of every mouth that Jesus Christ is Lord. Admittedly, the plot is nuanced and, at times, our way seems convoluted. But, if we fix our eyes on Jesus and trust in Him, He will bring us to our final destination. When we look back, even our darkest hour of regret will be yet another testimony to his faithfulness and his redemptive power. This is the month when NCAA basketball tends to push other things to the margins. If you are a basketball fan, it doesn’t get any better than this. When the Cinderellas of the basketball universe knock off the top seeds, it is the annual cultural sign of hope. Norfolk State defeated mighty Missouri. Then, within an hour, Duke was sent home from the tournament in the first round by Lehigh. The world of twitter went wild. You would think that Pearl Harbor had been bombed all over again. 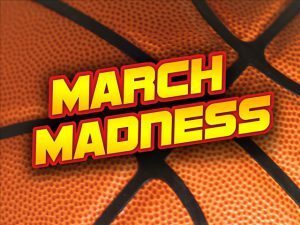 Why the “madness” about March madness? Well, it was a message to all the underdogs in the world that unexpected things can still happen. It rekindles our capacity to be surprised. Life doesn’t always unfold in the way everyone expects or predicts. Life is filled with surprises and “aha” moments. The Christian faith is, fundamentally, a message about God’s capacity to surprise the human race. The gospel is filled with so many unexpected moments… a king born in a Bethlehem stable…. a virgin carrying a child… a king crucified on a rugged cross… a tomb found empty… fishermen turned into Apostles… sinners like you and me turned into forgiven saints. We must never lose the surprise factor inherent in the gospel. Peter was shocked that God would pour out his love and mercy on Gentiles like Cornelius’ household. They weren’t supposed to speak in tongues, much less do it before they were even baptized! There are few things more surprising in the world than God’s love. Do you realize this day how much God loves Muslims? Can we fathom his deep love for homosexuals? God loves church bureaucrats. God loves both Barak Obama and Newt Gingrich. God, amazingly, even loves Seminary Presidents. This is not just March madness… this is divine “madness.” This is the foolishness of the gospel which actually transforms the world… and surprises it, too. I love the church, I truly do. I am convinced that the church is at the center of God’s cosmic plan. Precisely because I love the church so much, I often blog about the church and point out areas where I think deeper reflection could make the church stronger and more reflective of God’s plan. Over the years, at one time or another, I’ve probably offended mainline Churches, independent churches, non-denominational churches, charismatic churches, liturgical churches, non-liturgical churches, high churches, low churches, missional churches, emergent churches and mega-churches, among others! So, maybe it’s long overdue for me to say quite plainly that every one of these movements brings gifts to the church. I’ve really appreciated the Pentecostal and Charismatic emphasis on the work of the Holy Spirit. I’ll never forget the time that I heard a Pentecostal preacher proclaim from the pulpit, “Jesus is the Great I AM, not the Great I WAS, and the Holy Ghost brings the “was” into the “am!” You don’t hear things like that ringing forth from the typical mainline pulpit! I appreciate the liturgical churches emphasis on the continuity of the church through the ages. Every part of the service cries out, “We are not alone. There are millions of Christians who have lived faithfully and died in faith.” To use some of the very same language that these brothers and sisters from earlier ages used is powerful and is a kind of living testimony to the “communion of the saints.” I also have a deep appreciation for the missional churches, including ones that range from mega-church to the emerging churches. Here you find men and women who deeply care that people are lost and without Jesus Christ. It is in the contemporary church that you are most likely to find people who understand that we are living in a post-Christendom world. It is in these missional churches that you find a deep passion to connect the gospel to unbelievers. It is in the mainline churches that we remember that the gospel must be good news to the disenfranchised in this world. We cannot follow Christ without following him into the most painful corners of society. I could go on, but I think you get my point. Every movement in the church has insights which, if shared, could strengthen the whole. It is also true that every movement has embarrassing blind spots where greater reflection is needed. To point out that many mainline churches have sometimes forgotten the gospel and turned it into bland moralizing and mere social action is not to write off the whole movement, but to call it back to its own more nourishing roots. To point out that the mega-church movement has become overly consumeristic and market driven is not to write off the whole movement, but to gently nudge it back to its missional heart which is, fundamentally driven by the imperatives of the gospel, not the entertainment industry. To point out that the liturgical churches have sometimes exalted form over substance is not to write off the whole movement, but to help these movements to remember why they crafted such beautiful prayers in the first place. John Wesley models for us the power of learning from other Christian movements. He was a great student of the Reformation. He was a student of Puritanism. He was a student of pietism. He was a student of Eastern Orthodoxy. He was a student of the Patristics. Over the course of his writings he criticizes all of these movements, times and writers. But the “people called Methodist” also learned to glean the best from all these movements. The Methodist emphasis on experience (fourth plank of the quadrilateral) is clearly drawn from the German pietists. The Methodist emphasis on prevenient grace is drawn from the early Greek fathers of the church. Wesley’s emphasis on salvation by faith alone resonates fully with the Reformation, even while Wesley embraced so much of the “catholic” tradition. What a great model for us today. We are Christians first before we are Methodists or Baptists or Pentecostals. We must be good students of the whole movement, always learning, always listening and always reflecting. When we think about the legacy of the 16th century Reformation our minds quickly go to such sublime themes as justification by faith and the priesthood of all believers. However, if you actually lived in the 16th century, the biggest “felt” impact of the Reformation was in the area of worship. Prior to the Reformation, worshippers were largely passive. They watched as the Latin mass was sung, Psalms were chanted and the priest consecrated the Eucharist. The Reformation was a stark reminder that the word liturgy means the “work of the people.” The Reformation spawned an explosion of congregational hymn writing which produced such remarkable hymn writers as Martin Luther (A Mighty Fortress is our God), Isaac Watts (When I Survey the Wondrous Cross), Charles Wesley (O For a 1000 Tongues to Sing) and Fanny Crosby (Blessed Assurance). Within a few generations the church was singing again! Worship was active, not passive. In our own day we have seen another explosion of wonderful hymn-writing. Great hymns such as How Deep the Father’s Love for Us (Stuart Townend), How Great is our God (Chris Tomlin), Blessed be Your Name (Matt Redman) can be heard in churches across the nation. Having preached in dozens of churches across the nation I have observed that contemporary worship services are almost invariably led by worship bands. A worship band normally includes a lead singer, two or three supporting vocalists, a bass guitar, an electric guitar and a drummer. There must be thousands of such bands across the nation. Perhaps your church has one. However, these bands are normally “plugged in” which means that their voices and instruments are electronically amplified. This, in turn, makes it very difficult to even hear yourself sing, not to mention the person next to you. The result (and I have observed this many, many times) is hundreds, if not thousands of worshippers, all standing and listening to the worship band, but not actively singing themselves. The worshippers are, to be fair, more engaged perhaps than at a concert, but, nevertheless, we are seeing increasingly passive worshippers. A hard fought battle of the 16th century may need to be fought all over again. I have a proposed solution which is not all that radical, but could make the difference. First, worship bands should emphasize acoustical sound rather than electronically amplified sound. In other words, we need a “worship unplugged” movement. We can increase the number of musicians and instruments if necessary and, in the case of very large sanctuaries, a modest acoustical amplification might be desirable. But the goal would be to primarily hear people singing and worshipping God rather than hundreds of people watching the worship band worship God. The “rule of thumb” would be this. If you cannot hear the person next to you singing, then the worship leaders are playing too loud. Second, the lighting in the congregation should be raised, not dimmed, during the worship service. It is very common today for worship leaders to dim the lights of the sanctuary during the singing part of the worship service. As a worshipper, you may not be able to see people across the room or even down the row. However, the lights on the “stage” or “platform” are very bright which tends to focus the attention on the worship band rather than on the people. I actually think it makes better sense to keep the lights in the sanctuary on during worship. One of the big conceptual differences between the “chorus movement” and the earlier “hymn movement” is that the former tends to conceptualize an individual singing and worshipping God, whereas the latter tends to conceptualize the corporate people of God, singing. I think dimming the lights has tended to send the message that this is your “personal” time before the Lord. Since it is impossible to “compete” with the electronically amplified voices, people often either just stand and watch, or they quietly move their lips but don’t feel that “joining in” can really make a substantial difference. Third, worship bands must reflect more on the “singability” of a proposed worship song. In the post-Reformation period when so many new hymns were being written, they were specifically written for the church to sing. This means that, generally speaking, they were simple rhythms set to predictable meters and were musically kept within a “normal” musical range for average voices. Today’s worship songs are normally taken from the music industry. These songs are far more complex, rarely have a regularized meter, were written to be “performed,” recorded and put out by professional singers. Even highly trained worship bands spend hours learning complex rhythms, various musical bridges and irregular vamps between various parts of the song. The goal often is to try and reproduce as close as possible how it sounded when it was professionally performed. Musicians may not realize how exceedingly difficult this is for the average congregation. If you add to this the fact that choruses have a much shorter “shelf life” than a typical hymn, then the turnover rate merely adds to an already challenging situation from a purely musical point of view. Thus, contemporary worship bands must either learn to write songs specifically for public worship (Stuart Townend is already doing this), or take performance level songs and adapt them into an act of worship. If this modest proposal is followed, we might be able to reclaim one of the great gifts of the Reformation; namely congregations actively engaged in worship through joyful, vibrant singing!